Brookfield model featuring 3 bedrooms and 3 baths and 2 car garage. New interior and exterior paint and ready for a quick move in! Tile flooring in kitchen/dining area and all bathrooms. 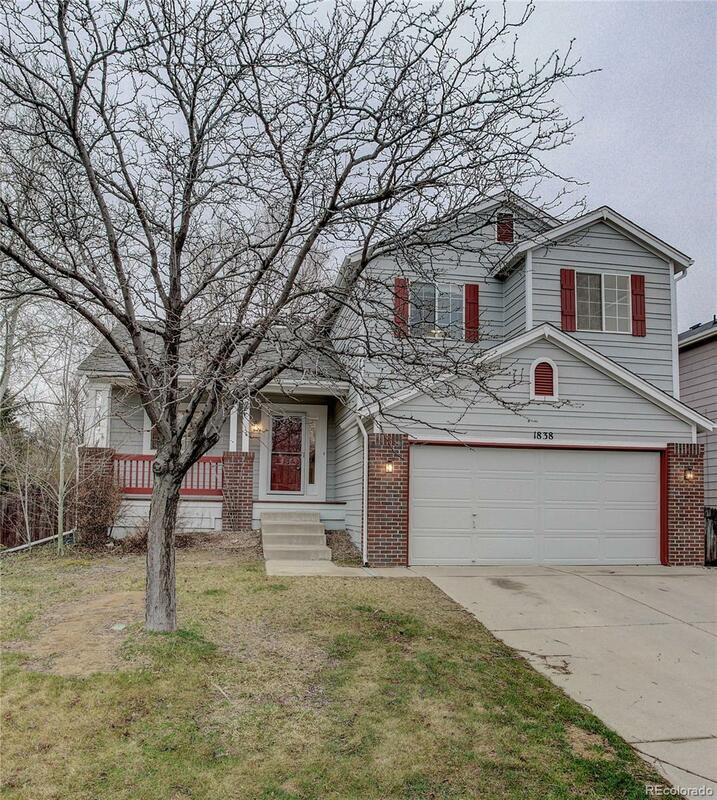 Large fenced yard with sprinkler system, newly painted decks and extended patio. Master suite with vaulted ceilings, bow window and walk-in closet. Unfinished basement ready for your customization. Walk to wonderful parks and highly rated schools. Easy commute to Denver or Boulder. Wonderful quiet street within walking distance to parks and schools.